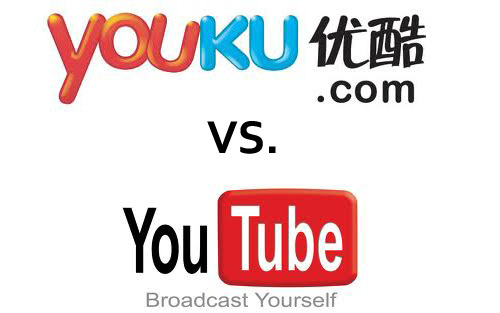 Youtube vs Youku: What are the differences between the two? Differences between Youtube vs Youku? In this section the differences between Youtube and Youku will be explained. There are some huge differences between Youtube vs Youku, because of the business models and culture differences. Youku is the biggest video-platform in China, reaches in 2014 500 million monthly unique visitors, the half of Youtube. Youtube is more User-Generated Content and Youku is less. Youku is more static and use different advertising strategies and has a different business model. For example you see 30 second ads before every video. Youku is more focussed on TV/movies/films rather than Youtube which has more short videos. There are many more Chinese, Taiwanese, Korean and Japanese television programs and dramas. Occasionally you will also find Indian, Pakistani, Cuban, Colombian, Mexican and Venezuelan dramas, all dubbed into Mandarin Chinese. YouTube does not worry much about government censors. But it worries about lawsuits over copyright violations and takes down infringing videos. YouKu does not worry much about copyright violation. The target audience is also different. Youtube is popular in almost every country who does allow to visit Youtube. Youku is more oriented to Chinese people. Youku really loves to open another pop-up/tab when clicking on a link, like a video, channel or users. Check here for the Youku English version! Copyright © 2019 Youku Tips: Your English Guide for Youku.